For data transfer we use pen drive, External Hard Disk or sometimes Memory card. We know that, not every person has antivirus. Also most colleges and Cybercafes don’t use antivirus. Whenever You insert Your Device Into anyone's PC or Laptop and after found any virus on it. Generally we Format Our USB after found virus. I don’t think that, this is right solution. Formatting a device can reduce efficiency of it. How a virus can Effect any Device ? Typically, when we insert any USB to any device there is a malicious script. script is waiting for any device to execute the algorithm. After Execution, That script executes on drive letter like E, F, and G.
Making Short-cut of all folder in it. Making current drive short-cut on it. Convert all folder to .exe extension. 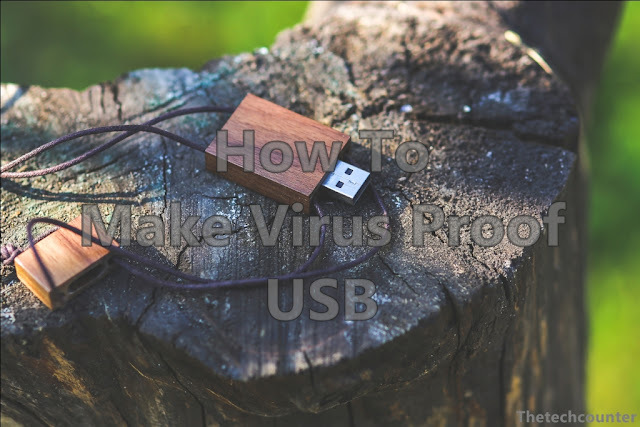 How To Make Virus Proof USB? Insert any USB device and format it using NTFS file format. Make new folder inside the Device and name it any thing. Go to properties of that device. Deselect all check boxes but remain checked to “Read & execute”, “List folder contents” and “Read”. Click Apply and OK on both windows. Go to inside the USB and Go to Properties of the folder we’ve just made before. Apply and OK to Both Windows as before. Thats It, You have just made your Storage Device Virus Proof. You can use this technique to your hard Drive also. Now, you don’t have permission to Copy data to that device directly. so for that you have to use the folder virus proof to copy the data. Due to the permission your copy speed will be reduce but little. The main disadvantage is Windows XP can’t Detect the USB. Most I can state is, I�m not sure what to express! Except certainly, for the wonderful tips that happen to be shared within this blog. I will think of a million fun strategies to read the reports on this site. I believe I will eventually make a move making use of your tips on those things I could not have been able to deal with alone. You were so innovative to allow me to be one of those to profit from your helpful information. Please realize how great I am thankful. An impressive share, I recently given this onto a colleague who was simply carrying out a little analysis within this. Anf the husband actually bought me breakfast due to the fact I found it for him.. smile. So well then, i�ll reword that: Thnx for any treat! But yeah Thnkx for spending plenty of time to debate this, I�m strongly about it and really like reading much more about this topic. If possible, as you grow expertise, might you mind updating your blog site to comprehend details? It can be extremely great for me. Large thumb up just for this short article!